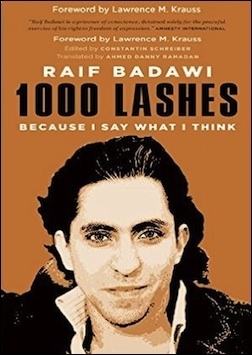 Originally published under the title, "The Writings of Saudi Blogger Raif Badawi." Saudi Arabia's clerical establishment hopes that the threat of ritualized public torture will keep dissidents like Raif Badawi in line. In 2012, Raif Badawi, a blogger in the kingdom of Saudi Arabia (KSA) who is now 31, was arrested in his native land and charged with offenses ranging from parental disobedience to cyber-crime and apostasy from Islam. Badawi had written in Arab media and established a website, "Free Saudi Liberals." When he was jailed, the site was closed by the Saudi regime. His detention then was not the first action by the KSA against Badawi. As noted by Human Rights Watch, he was held for one day in 2008 after launching the "Free Saudi Liberals" site, and, in 2009, was banned from travelling abroad, with a freeze of his financial assets. After a trial in 2013, Badawi was sentenced to seven years in prison and 600 lashes. But the outcome of an appeal, in 2014, was worse: his punishment was increased to 10 years in jail and 1,000 strokes of a whip, with a fine of 1 million Saudi riyals (about $267,000). Apostasy from Islam is a capital crime in the KSA, and BBC News reported in 2013 that the apostasy allegation against Badawi had been rejected by a higher court. Evidence for the claim was ridiculously flimsy, including such assertions as that he pressed a "Like" button on a Facebook page for Arab Christians. Raif Badawi is not a critic of Islam, although he favors a secular state. All restrictions on freedom of religious belief are abominable, but they are particularly despicable when they are trumped up as a pretext to suppress independent debate - as happened to Badawi. On January 9, 2015, a first session of 50 blows was imposed on Badawi at a mosque in Jidda, the KSA's commercial capital and seaport. The infliction of 1,000 lashes was to be extended over 20 weeks, with 50 applied weekly. Since the beginning round of his caning, continuation of Badawi's beating has been suspended repeatedly, originally on medical grounds. The deeper reason for the continued postponement is, nevertheless, unclear. International protests have been extensive and may have played a role. But Badawi was dragged to be lashed this year when the health of the late Saudi King Abdullah was failing and his successor, Saudi King Salman, had yet to assume power. Elements in the Saudi-Wahhabi clerical apparatus may have acted recklessly to make an example of Badawi, but were then halted in carrying out their scheme. On June 7, 2015, the Saudi Supreme Court upheld the judgment against Badawi, but, again, no further whipping has taken place. While it is difficult to predict the outcome of Badawi's case, some of his writings will soon be available to English-speaking readers. A slender volume titled 1000 Lashes: Because I Say What I Think is scheduled for release in July in Canada, in August in the U.S., and in October in the U.K., with the support of Amnesty International. The collection has already appeared in French as 1000 coups de fouet: parce que j'ai osé parler librement. The personality of Badawi and his message appear in its pages to be very different from what many Westerners might expect. A collection of Badawi's English-translated writings will be published next month. Some of the articles therein were posted on the pan-Arab news portal Al-Jazeera, which is considered aligned with the Muslim Brotherhood (two dated April and May 2012, with two more undated) and six were published in the Saudi newspaper Al-Bilad (The Country). 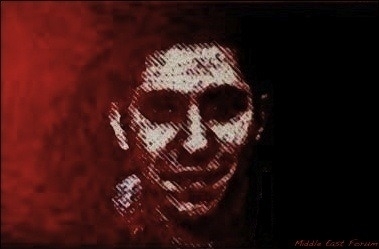 Raif Badawi is not, as expressed in his own words, a critic or enemy of Islam, although he favors a secular state. Indeed, it may be argued that he seeks to save Islam from the Saudi-Wahhabi clerics and other fanatics. In one text from 2011 that provoked the apparent rage of the Wahhabis, titled "Astronomy According to Sharia," Badawi criticized Wahhabi doctrinaires who condemn as incorrect and in violation of the Qur'an the Renaissance understanding of the solar system (which recognizes that the planets circle the sun). But this is an old debate that was settled presumably in 1985 when Prince Sultan, son of the now-ruling King Salman, traveled in a U.S. space shuttle and observed the relations of the heavenly bodies. In another, unfortunately prescient article, titled "Dreams of a Caliphate," from 2012, Badawi linked Saudi Islamists who preached a revived caliphate - like that of the so-called "Islamic State" - with the habit of Muslim caliphs from the eighth to the tenth centuries C.E. in killing their opponents for alleged apostasy, as a cover for politicized Islam. This also is hardly a new criticism in Islamic historical thought. In the same article, Badawi, surprisingly, rejected statements that another incarcerated blogger, Hamza Kashgari, a Uyghur originating in Central Asia, but whose family moved to the KSA, is a liberal. Kashgari was held from 2011 to 2013 for a series of tweets addressed to Prophet Muhammad. According to Badawi, Kashgari is closer to the Muslim Brotherhood and has never expressed liberal views. Badawi is a non-conformist whose opinions cannot be classified. In a 2010 text on the anniversary of the atrocities of September 11, 2011, he denounced the project for construction of a mosque at the site of the World Trade Center in New York, which he described as "a flagrant provocation against the collective memory of Americans in particular and humanity in general." On the topic of Israel and the Palestinians, in another article dating from 2010, he decried the Israeli occupation of Arab lands but also said he would fight against Hamas. He wrote, "I am not for the occupation of an Arab country by Israel, but, at the same time, I do not want to replace Israel with an Islamic nation installed on its ruins, and of which the only aim would be to promote a culture of death and ignorance." Sadly, however, Badawi's short book concludes with praise for the ill-fated "Arab Spring" revolutions in Tunisia, Egypt, Syria, Yemen, and Libya. Violations of religious and intellectual liberty are hardly rare in the world, as seen by radical Islamist violence, from the global assault on Salman Rushdie's Satanic Verses beginning in 1989 to the homicidal raid on the French satirical journal Charlie Hebdo in January of this year. Cultural vandalism by religious extremists has been displayed to the world in the KSA and in the territories controlled by the spurious "Islamic State" in the Middle East and "Ansar Dine" in North Africa. Such acts against personal conscience are not limited to Muslim lands. An Indian court suit forced the withdrawal of a scholarly work on that country's history, The Hindus, by Wendy Doniger, from the Penguin India publisher's list in 2014. The military regime in Burma, a/k/a Myanmar, allows anti-Muslim agitation that has driven thousands of Rohingya Muslims to flee the country by sea, in ramshackle boats. Russia, reviving its nationalist ideology, refuses to recognize the legal status of the Roman Catholic church. But the KSA stands alone in banning public observances by any religion other than Islam and harassing metaphysical Sufis and Shia Muslims. Muslims around the world are currently observing the holy fasting month of Ramadan, during which it is customary for Islamic rulers to proclaim an amnesty for prisoners. This year's Ramadan ends on Eid Al-Fitr, 16-17th July by the Western calendar. Saudi King Salman would improve the image of the KSA if he orders the release of Raif Badawi as an act of Ramadan mercy. Stephen Schwartz, a fellow at the Middle East Forum, is executive director of the Center for Islamic Pluralism in Washington, DC. Irfan Al-Alawi is executive director of the London-based Islamic Heritage Research Foundation.